Martin is the Herbert Irving Associate Professor of Psychiatry and Neurology at Columbia University Irving Medical Center, and a Research Fellow of the Columbia Aging Center. He trained as a physiologist in neuroimmunology, then in aging mitochondrial biology, psychosocial oncology, and systems biology at McGill University in Canada. As a postdoc fellow he worked with cellular and animal models of mitochondrial disease with Doug Wallace at the Center for Mitochondrial and Epigenetic Medicine (CMEM), and on stress physiology with Bruce McEwen. Beyond his passion for mitochondria and transdisciplinary research, Martin enjoys cycling, photography, and traveling. Kalpita received her PhD in human molecular genetics from Jawaharlal Nehru Center for Advanced Scientific Research (JNCASR), Bangalore, India. Her doctoral work involved understanding the molecular and genetic basis of a rare form of epilepsy known as hot water epilepsy, where she used whole-exome sequencing to identify a rare variant in the glutamate transporter SLC1A1 gene. Currently, Kalpita combines pharmacological and genetic approaches to understand the role of mitochondrial function and signaling in cellular stress responses, particularly pro-inflammatory activation. Her translational work in the MiSBIE study includes assessment of mitochondrial functions and of cellular stress responses in leukocytes of patients with inherited mtDNA disorders. Apart from research, Kalpita enjoys cooking, blogging and painting. Caroline received her PhD in Psychological Sciences from the Université Libre de Bruxelles, Belgium. She completed her doctoral research at the Belgian Scientific Institute of Public Health (WIV-ISP) in the Department of Epidemiology in the “Surveys, Lifestyle and Chronic Illnesses” team. Caroline currently coordinates the psychosocial assessments in the MiSBIE Study and applies statistical models to understand the interplay of psychological stress exposure and mitochondrial biology. In collaboration with the Monk Lab, she also investigates the effect of diet during pregnancy on placenta DNA methylation and mitochondrial function. Beside her passion for science, Caroline is an avid reader of literature and psychoanalysis, has a passion for the arts, and enjoys travelling and cooking. Marlon is a research scientist with background utilizing molecular biology techniques in clinical and bench research. He was the recipient of a NIMH NRSA grant studying brain development as an undergraduate, and subsequently worked at Cornell University where he investigated serotonin and dopamine signaling related to depression and Parkinson’s disease, and then worked with the post-traumatic stress team at the Bronx V.A. where he implemented various molecular assays in human samples. Marlon manages lab operations and the MiSBIE biobank, performs cell purification, and measures the mitochondrial health index in blood leukocytes. Outside the lab, Marlon is a sports performance coach who is also passionate about art, and enjoys bird watching. Marissa completed her BA in Psychology at Oberlin College, where she studied neuropsychiatry and the social development of children and teens. After college, Marissa studied anhedonia and reward pathways in adolescents at risk for depression, bipolar disorder, or schizophrenia at the University of Pittsburgh Medical Center. 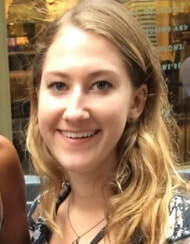 Marissa is currently the MiSBIE study coordinator and uses MRI to collect data on brain structure and function. She has a passion for studying the neural processes at play in life-altering disorders and hopes to one day utilize this knowledge in treatment. Outside of the lab, she enjoys singing, playing guitar, and baking. Johanne is a registered nurse working in cardiology. As part of the MiSBIE study, she works with the team and uses her IV skills and warm personality to collect serial blood draws at different points of the study protocol. She also processes self-reported psychosocial and well-being data. Mashika is the administrative coordinator in the Division of Behavioral medicine and assists the Lab in managing purchases, grants, collaborative agreements, and human resources. Amy was a visiting PhD student from Newcastle University, UK. She completed her MSc in Biochemistry and Genetics at the University of Nottingham, UK. Her PhD, has spanned a number of projects with the aim to investigate mitochondrial dysfunction in both mitochondrial myopathy and other neuromuscular diseases. She is currently a research associate at the Wellcome Center for Mitochondrial Research and her current work focuses on: i) understanding the mechanism by which mitochondrial DNA mutations accumulate in age and disease and ii) three-dimensional quantification of the morphology of mitochondria in human skeletal muscle. Outside the lab she enjoys playing hockey and reading crime fiction. Carla is a visiting postdoctoral fellow from Universidad de Chile (Santiago, Chile). She completed her MSc in Biomedical Sciences and her PhD in this same institution. As a medical doctor, her interest has always been centered on translational research. Her MSc was focused on the effect of high altitude on human physiology. In her PhD thesis, she started to work with cellular models, investigating the intracellular pathways activated by testosterone, to induce skeletal muscle hypertrophy. Currently during her postdoc, in collaboration with a clinical research group, they are working with patient samples, studying whether different types of skeletal muscle diseases (congenital or acquired) have a mitochondrial component. Outside the lab, Carla enjoys sports (fencing and crossfit), trekking and photography.